From the recent Muslim travel ban to the Black Lives Matter movement, anyone who has ever felt like an outsider in America can relate to the uneasiness Chris feels visiting his white girlfriend’s family’s house. As we cringed in our seats at the awkward racial comments Chris had to face, the film reminds us that generalizing the experiences of a race, culture or gender is a dangerous way of thinking as it leads to negative ways of reasoning, like Trump’s travel ban. Chris is right, the slaves are weird as hell! As it turns out, the black people are not black people but mere vessels to hold the brains of white people. Peele forces us to experience awkward scenes of Chris seeking black kinship to show slavery in a different way that we are accustomed to. Rather than cotton picking slavery days like 12 years a Slave, black people are hypnotized and their bodies are used to fulfill the needs of white people. Peele’s film gives a new narrative to discuss systematic racism, which continues to be at the forefront of American discourse. Black History Month ended with signs of hope and change for America. Peele’s film needed to be released in Trump’s America, even better at the end of Black History Month and before the Oscars went from #SoWhite to #SoMoonLit a few days later. 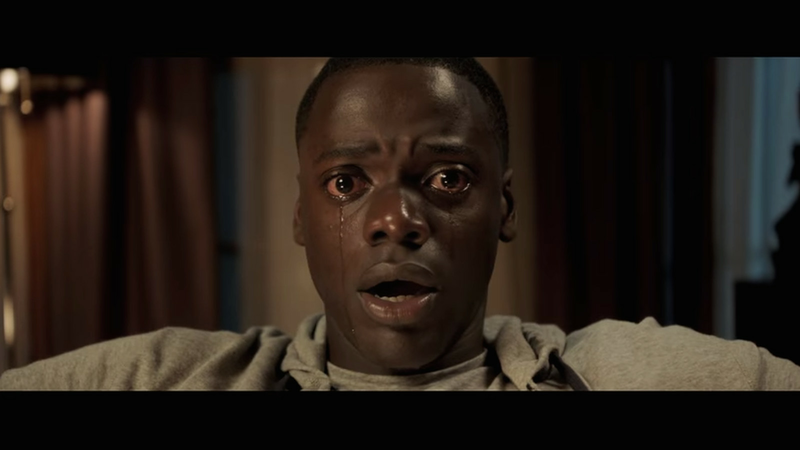 The release of “Get Out” provides a new narrative for Black History Month and the conversation of racism will not come to an end, like black history books, but continue going into the month of March.